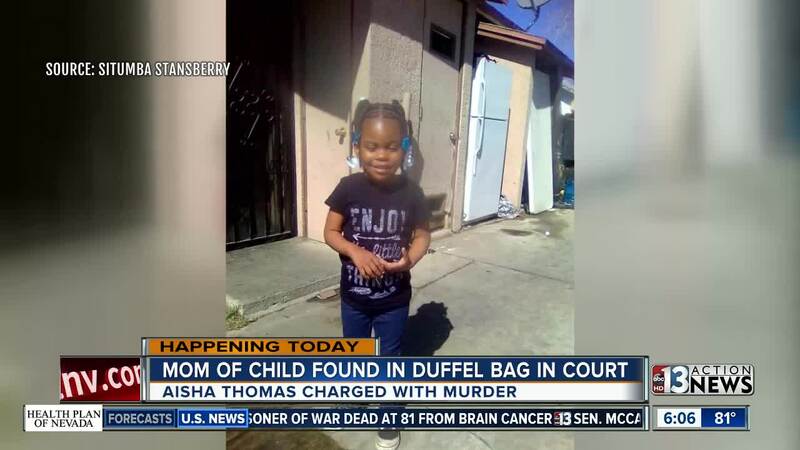 Aisha Thomas initially called police and told them that her 3-year-old child disappeared on a short walk to a nearby grocery store. 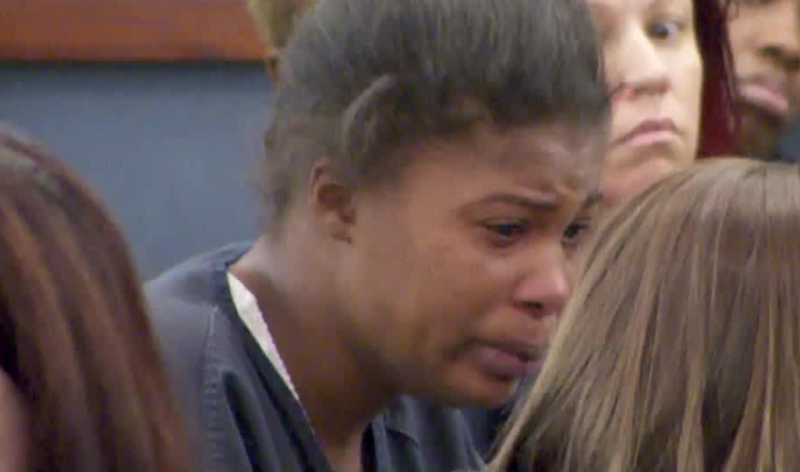 Aisha Thomas, the mother charged with killing her daughter and putting her body in a duffel bag, made her first court appearance Monday. Thomas has a preliminary hearing scheduled for Oct. 1. Thomas initially called police and told them that her 3-year-old child disappeared on a short walk to a nearby grocery store. Officers searched her apartment twice before finding a small body in a duffel bag in a closet. The child's grandmother Teena Stansberry told 13 Action News that she is devastated. The grandmother traveled to Las Vegas over the weekend to take care of the remaining siblings. The child's father was arrested a few days before the discovery after a domestic violence incident.